The K2 Playback is a mostly flat board with a little bit of rocker at the tip/tail and it’s at a very good price point. It has a Jib to borderline freestyle focus that many riders might like if they are on a budget. For us we’d rather see you pony up a bit and buy the WWW but this isn’t bad either. 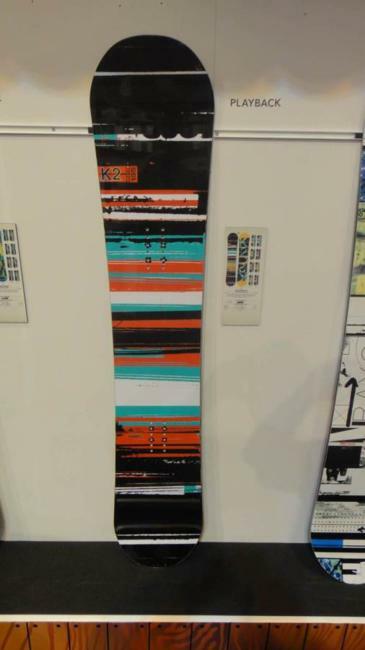 On Snow Feel: Like all mostly flat boards that K2 makes this is very stable and easy to one foot or flat base. It’s an easy ride and it has a very playful feel for jib park and some other park riding. 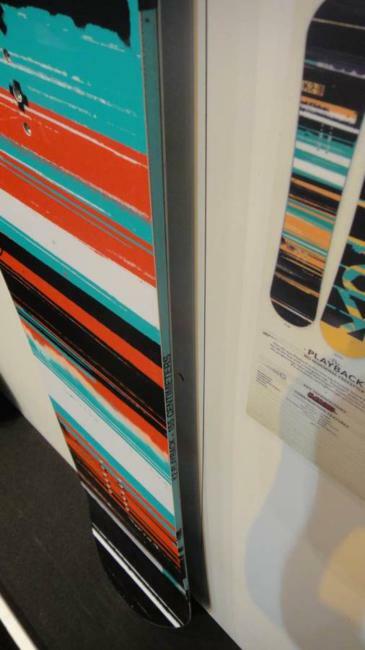 Powder: Not really a great powder board and it’s just a little better than camber. Turn Initiation and Carving: Pretty easy edge to edge but this isn’t a carver. It’s more of a park board so this doesn’t really mean so much. Speed: It’s a slow board. Uneven Terrain: Allmost all K2 boards do well in tough conditions like moguls and bumpy off piste but again this will mainly be in places that don’t have bumpy snow. Edge Hold: Moderate middle ground edge hold that is ready to be filed down for sliding. Flex: Soft to Medium soft. Very easy to butter and press but nothing special. We like the flex and feel of the WWW better. Jibbing: This isn’t a very small sized jib board but it’s very good jibbing and this is the boards best side when it comes to the park. Pipe: Not a good pipe board. Jumps: It doesn’t have the snap of the WWW but it’s still got some pop on an ollie. It’s also stable approaching a jump and pretty forgiving landing on one. We try to get as many images of the K2 Playback, but forgive us if they're not all there.